The Last Question by Isaac Asimov [Short Story] - Isaac Asimov has written countless short stories during his very productive career. He has personally made the statement that The Last Question “is by far [his] favorite story of all those [he] has written”. In the story, Asimov imagined how human history and consciousness would play out in several trillion years. It began with two drunken computer technicians on May, 21, 2061 to the day - trillions of years later - when the universe as we know it dies and is “snuffed out”. Is this dying out of the universe the end of everything? Is there a chance that life springs out from the empty abyss? Maybe, maybe not. The Great Human Odyssey [Documentary] - This is a documentary I would highly recommend to anyone interested in learning about the origins of man. It’s a very fascinating ode to the resilience of our species over thousands of years. Without the documentary, I never would’ve known that all the civilizations that flourished in North, Central, and South America likely came from a small band of people that originated from Siberia. I never would’ve known that genetic studies show that Pacific islanders originated from Asia. There’s compelling evidence from studies done in the fields of archaeology and linguistics that further support this theory. These studies point to human migration at least 40,000 years ago wherein people reached island groups such as Indonesia and the Philippines when sea levels were very low. Although there is no archaeological evidence of the earliest boats used to cross towards the far-flung Pacific islands, Papua New Guinea holds a bit of evidence on how people may have fanned out into the Pacific. For hundreds of years, Papuans have been building long and fast canoes. Earlier versions of these long canoes may have been the ones used by ancient islanders to sweep and populate the Pacific. It’s also interesting to know that sweet potatoes were found in Polynesian islands and skulls belonging to Polynesian islanders were found in Chile in South America. Sweet potatoes evolved in South America so who brought these to the Polynesian islands? Did natives of South America bring the potatoes to Polynesia or did Polynesians go to South America then brought the potatoes back to Polynesia? Thickening the plot even further was the discovery of Polynesian skulls in Chile. These are just bits of a large picture painted by this engrossing documentary. Resurrecting the Tasmanian Tiger [Documentary] - What took evolution millions of years to create took mankind only fifty years to completely destroy. This is the unfortunate story of the Tasmanian tiger which was hunted down to extinction by humans. The last one of these animals died at a zoo. The real tragedy here is that the animal was wiped out based on irrational fear. Farmers in Tasmania wrongfully thought that the tigers were hunting and eating their sheep. In reality, feral dogs were the ones responsible. Serving as the foreground in this documentary is one man’s mission to bring the tiger back from the dead. In short, an attempt at de-extinction. 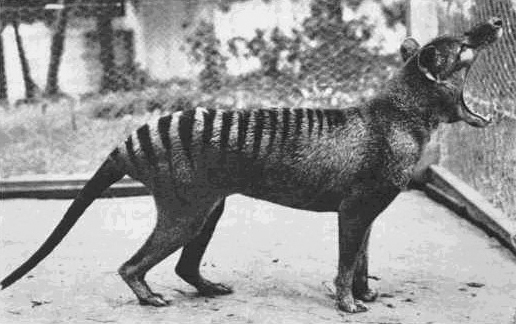 An actual photo of the now-extinct Tasmanian tiger (Thylacine). Image: Wikipedia Commons. Last Week Tonight With John Oliver: Alex Jones [Television] - John Oliver is one of the best working satirists today. And he proves this well-deserved distinction yet again with a well-researched takedown of Alex Jones in this segment of his HBO show Last Week Tonight. For the uninitiated, Alex Jones is a conservative media personality most well-known for his conspiracy theories and crazy proclamations. Oliver’s contention is that Jones shouldn’t be taken seriously and he compellingly shows why. Jones spreads lies, conspiracy theories, and crazy (and often very dangerous) ideas. In a perfect world, this segment should send Jones to irrelevance. Unfortunately, given the tons of people still defending Jones’s antics, it seems like Oliver’s work only managed to scratch Jones’s armor. Which is sad, really, because this world needs more Olivers and less Joneses. The Congo Dandies [Documentary] - Want to be weirded out? Then see this documentary. Strange, just strange. I’m stuck trying to process what kind of thinking propels these gentlemen to act and dress like they do. 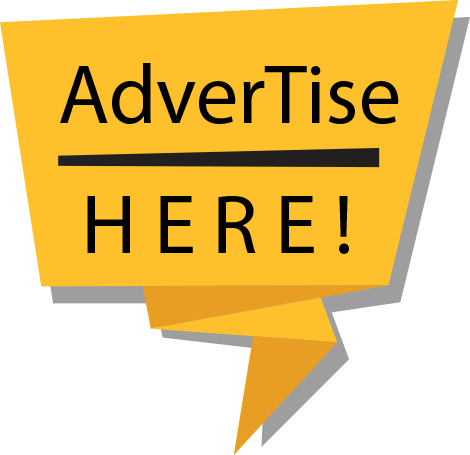 Is it a shallow attempt to generate fame? Or does it have a deeper cause like escapism? Maybe the men are so disenfranchised by poverty and the squalid conditions around them that splurging on clothes (even if they can’t afford them) allows them to momentarily escape these conditions. Nova [Documentary] - This documentary once again highlighted my reservations when it comes to contemporary and modern art. Most of the time, I don’t understand the works in question but when the artists talk about their creations, they seem to be too sure about them. All I really hear are various levels of pretentious drivel. Modern art is still a mystery to me. I don’t understand why a chair placed in the middle of an empty room can be considered art. It’s just a chair in an empty room. To come up with explanations to imply that it means anything other than a chair in an empty room is rather insulting. My problem with modern art is usually directed to installations and conceptual art. I don’t have a problem with abstract paintings, mind you. Abstract paintings are decorative and they can look aesthetically pleasing when hung on a wall. They don’t mean anything but at least they serve a purpose. But the empty chair in an empty room? What purpose does it serve? Cenk Uygur vs. Ben Shapiro on Politicon [Debate] - American politics has always been very fascinating to me. Truth be told, I sometimes follow it more urgently than I do Philippine politics. Don’t get me wrong, both American and Philippine politics are often dirty and toxic. But I find American politics to me more intellectually stimulating. You can learn a lot about the world and how it works by simply watching the conversations between liberals and conservatives. When I delve into Philippine politics, it just makes me sad. There’s just too much stupidity among politicians and too much credulity among constituents. Following these everyday will take its toll on your mental well-being. Anyway, back to the Uygur-Shapiro debate. I have a bit of familiarity with Uygur’s politics since I sometimes catch him on The Young Turks. And I consider myself a fan of his work. As for Shapiro, I’ve heard of him but I don’t know much about his work. Well, he made me a fan during the debate. This is the type of conversations or debates that I want to see in the Philippines. Sadly, everyone here seems to be stuck in his or her echo chamber and unwilling to engage in rational exchanges. They prefer to spend their time calling each other Dilawan or Dutertard over in the interwebs. Scrapped [Documentary] - Today I learned that large ships go to Bangladesh to die. And when they die, they take Bangladeshis with them. Apparently, the country's a glorified graveyard for useless ships. It’s a saddening tale but I wasn’t that surprised by it given the fact that Bangladesh is among the poorest nations on the planet. Being a poor country also means very poor treatment for workers inside the country. The two come hand in hand. The Bridge [Documentary] - It envelopes you with a certain kind of sadness. It forces you to mull deeply if there’s someone you know who might jump off a bridge when life becomes too much of a burden. The Bridge is about suicide but it doesn’t attempt to provide answers as to why it happens or how it can be prevented. That’s what makes this documentary very powerful in a unique way. It simply shows those who have given up on existence as they pace back and forth on the Golden Gate. Some jump to the waters below. Some hesitate. Some are rescued. It is what it is, I guess.